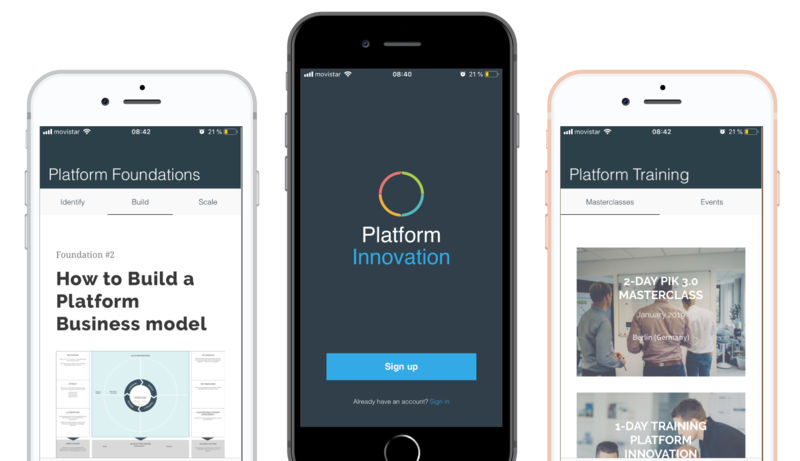 The Platform Innovation Kit is based on the latest research and best practices from building and scaling successful platform & ecosystem ventures around the world. It helps Corporates, Startups & Joint Initiatives to finde, design, launch and scale network based business models. It covers all 3 major lifestages of a ventures: Ideation & Validation, Prototyping & Launch, Growth and Maturity. 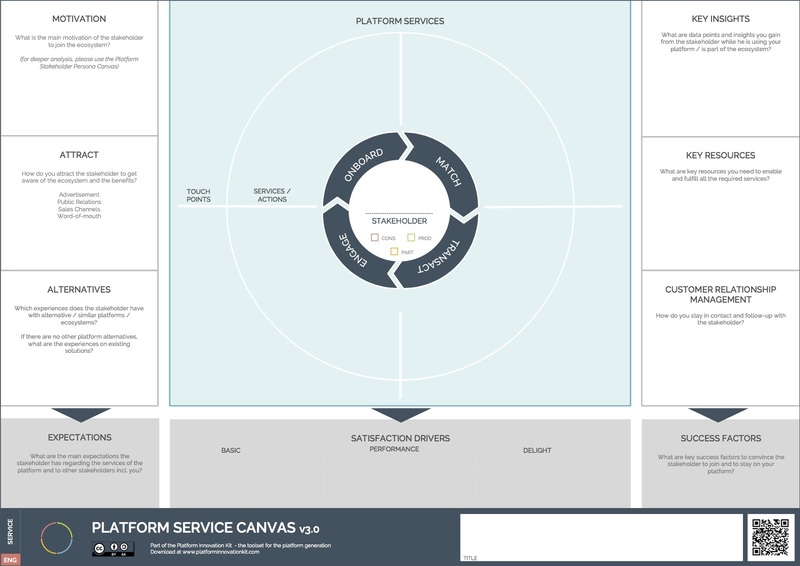 Additionally you can download the “Platform Innovation Kit App” to have a digital assistant supporting you to apply the canvases. Or you download our comprehensive Guides to learn the methodology in detail. 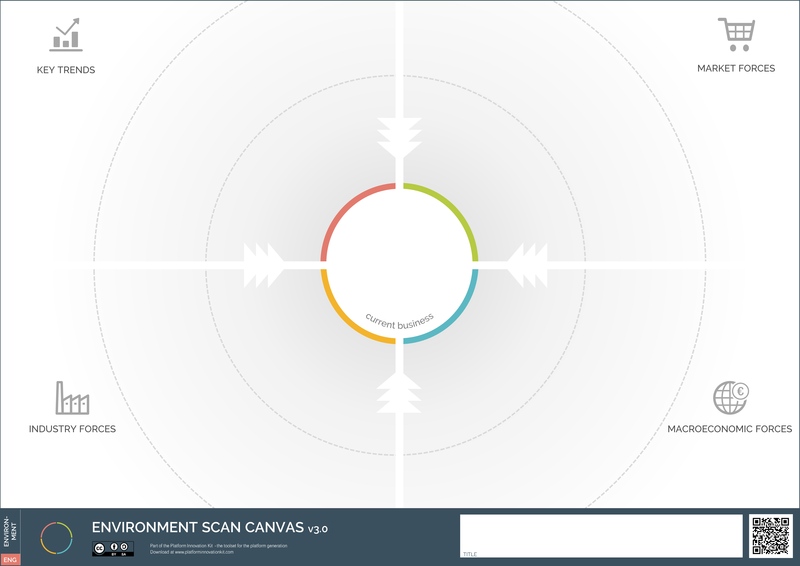 We designed the tool under the Creative Commons license, so that you can download and use it for free. 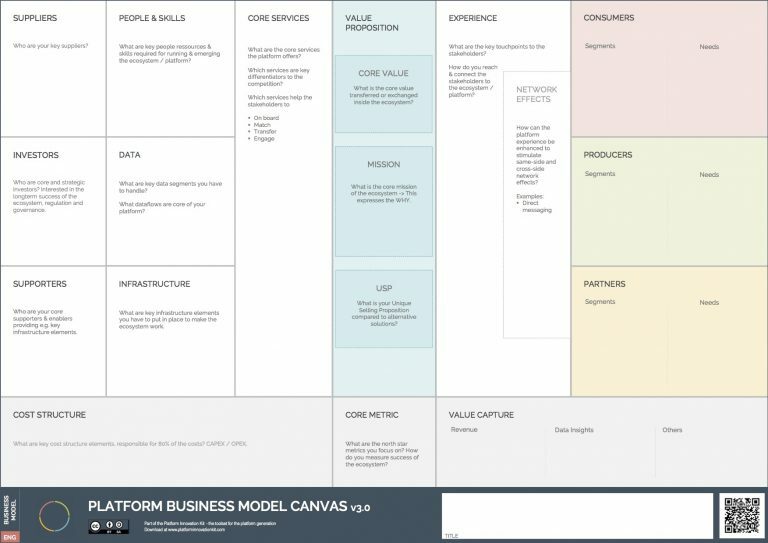 The Platform Business Model Canvas is a perfect tool to design platform business models. 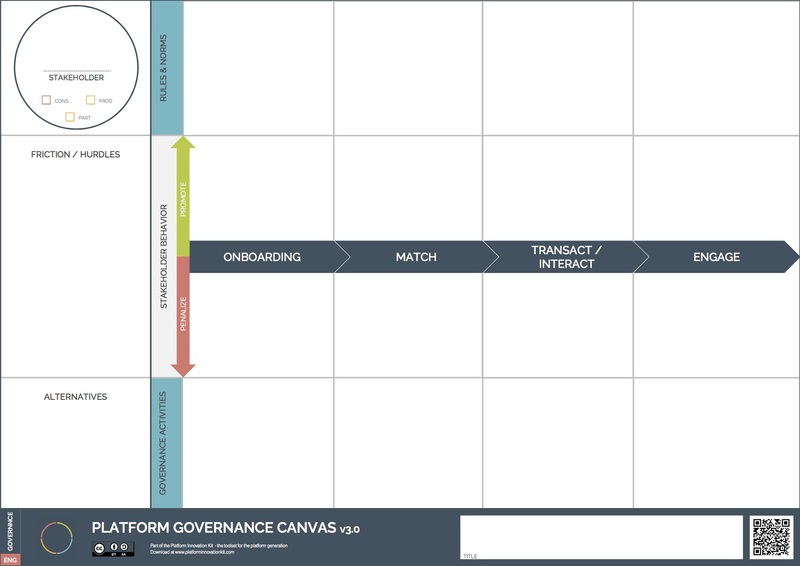 The Platform Innovation Kit absolutely kept its promise of hyper scaling our business by taping into the power of ecosystems and collaboratively owned surplus value! 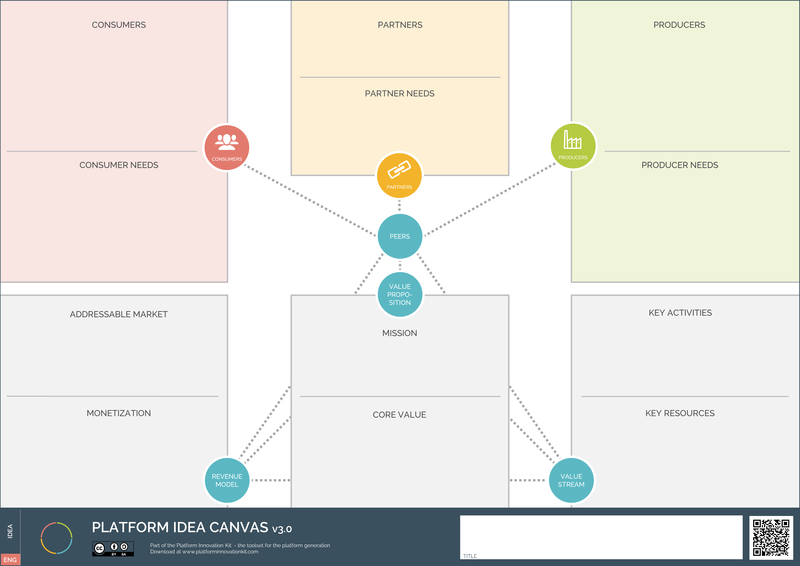 The Platform Innovation Kit is a great designed method to get different perspectives of your new business. 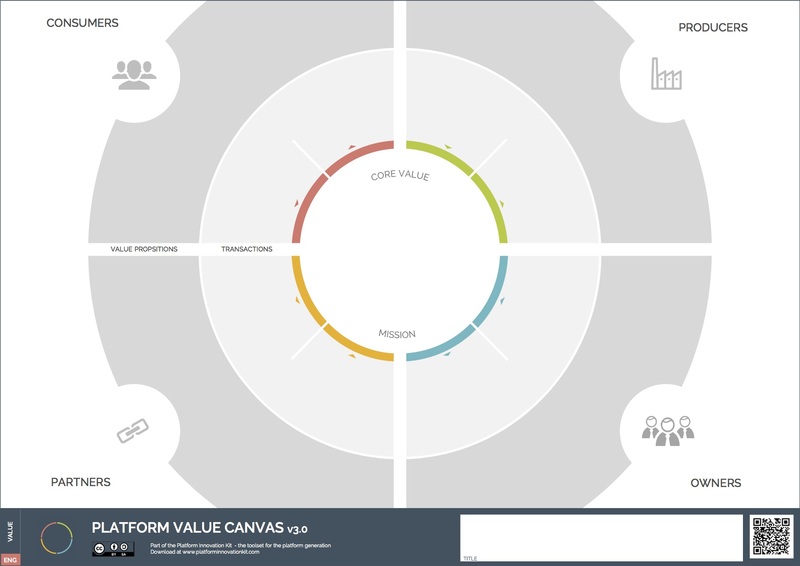 What we see today is the rise of the platform economy – a shift from linear value chains to value creation networks. Companies have to move away from the thinking of „my“ product or „my“ service. In a platform world you become the orchestrator of multiple parties. 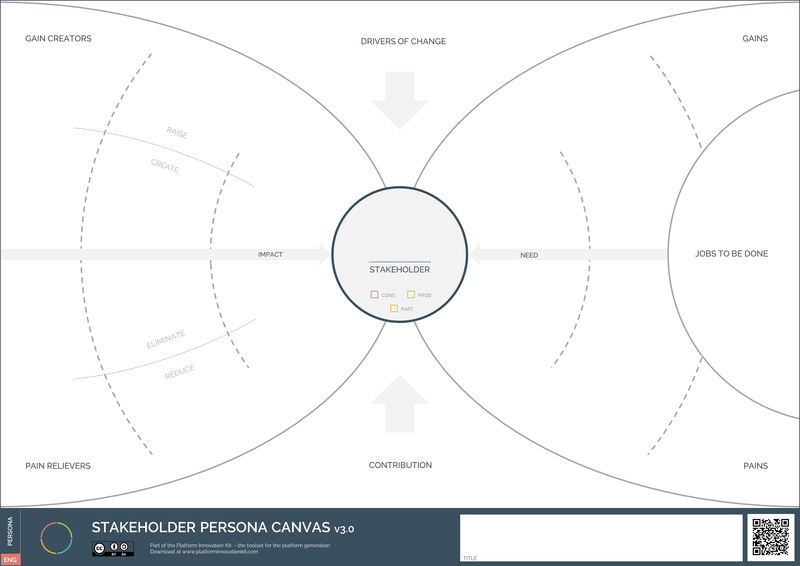 Your job is no longer to develop new products, your job is to facilitate the transaction between the participants. 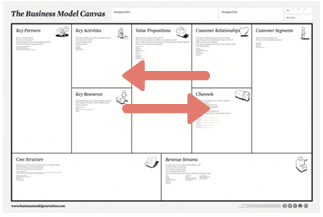 The standard business model canvas is a perfect tool for linear businesses – we love it too. But using it to design multisided businesses can end up in a mess. That‘s where the PIK will help. 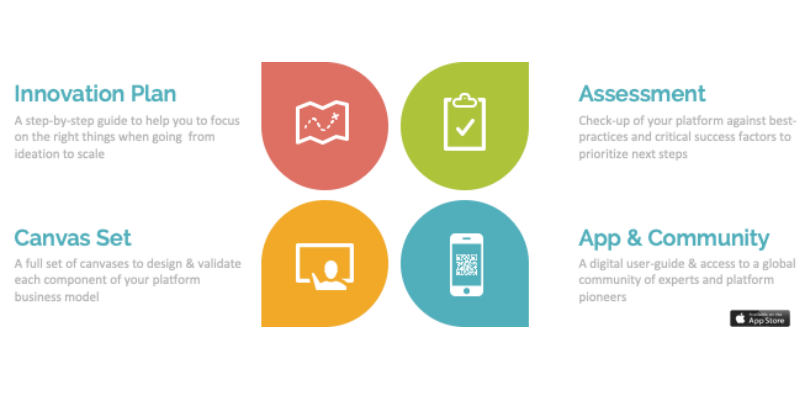 Exclusively designed for platforms where you have to manage multiple value propositions. The PEC helps you to scan the environment of your business – key trends, market opportunities, industry forces like your competition and macroeconomic forces. 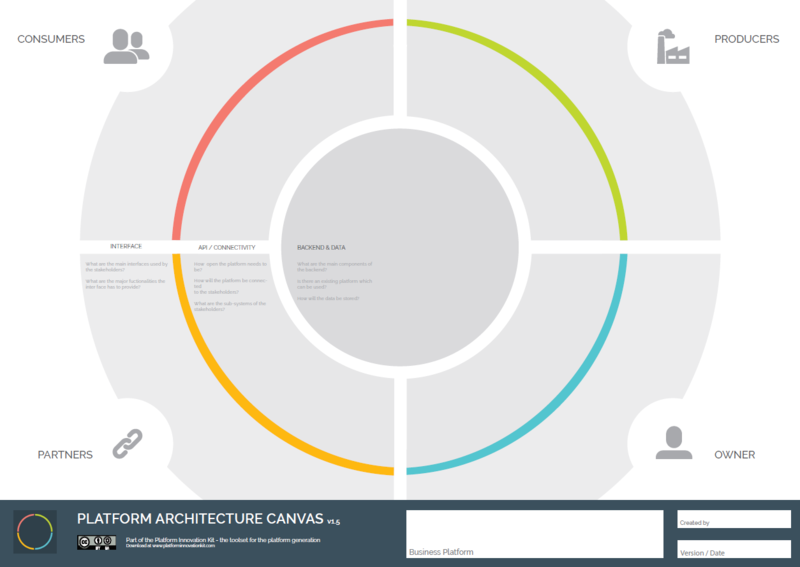 The PIC helps teams to create a portfolio of new platform ideas quickly, evaluate and focus on the most promising ones early. The PBM defines the core value proposition of the platform and describes the benefit for each stakeholder / peer in the ecosystem. It is essential to understand if the platform will attract users or not. 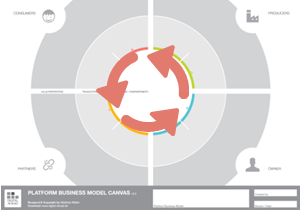 It is the perfect tool to start to design a new platform business concept or to analyze / check existing ones. 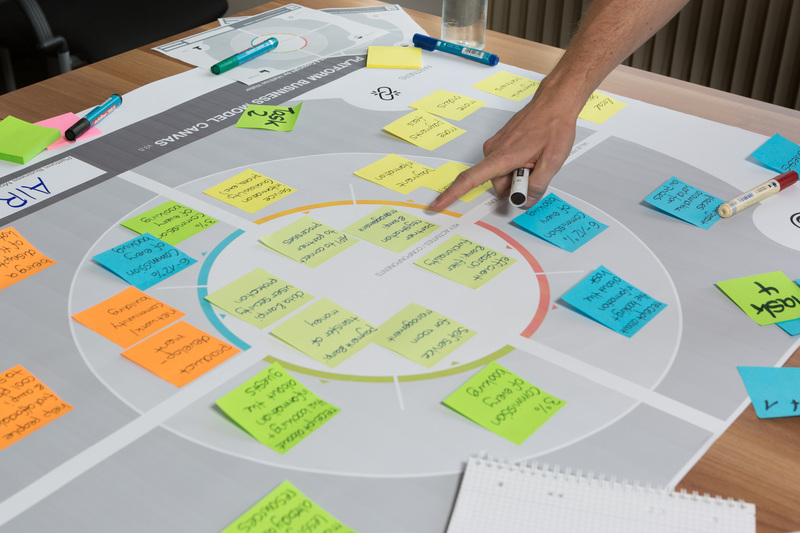 In a world of digitalization platforms becoming the new standard for business models. 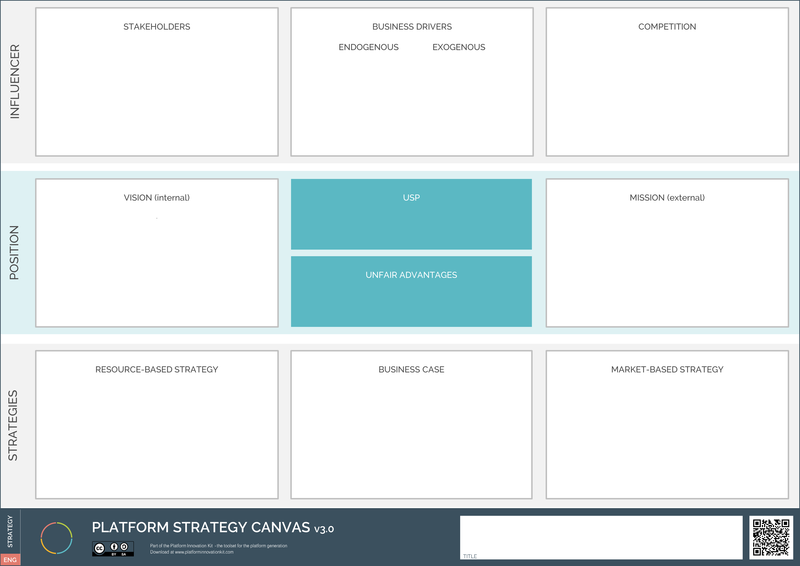 We upgraded to original Business Model Canvas to the platform world. Using the PBMC allows you to upgrade your business and discover hyper scaling growth opportunities. 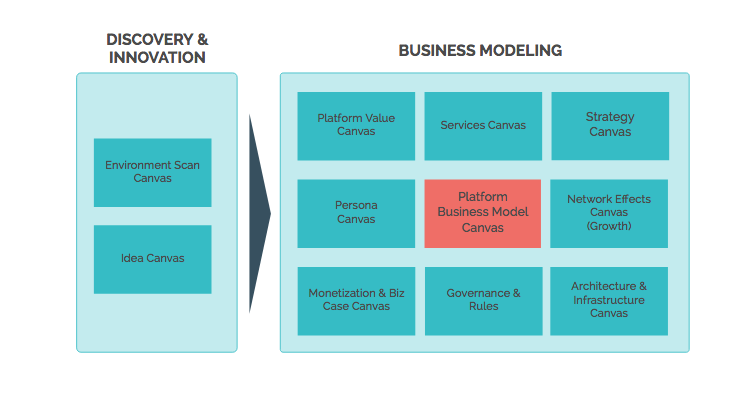 The PVC define the core value proposition of your platform to understand the core motivation of every stakeholder to join and interact with the platform. The PSC defines the core interaction of your platform and they will help to match, transact and engage your consumers, producers and partners. The NFXC breakdowns significant interactions in the ecosystem by its relevance, value proposition and stickiness. The PGC define the rules & norms for each step in the core process. It also helps to understand the necessary governance activities you have to perform. 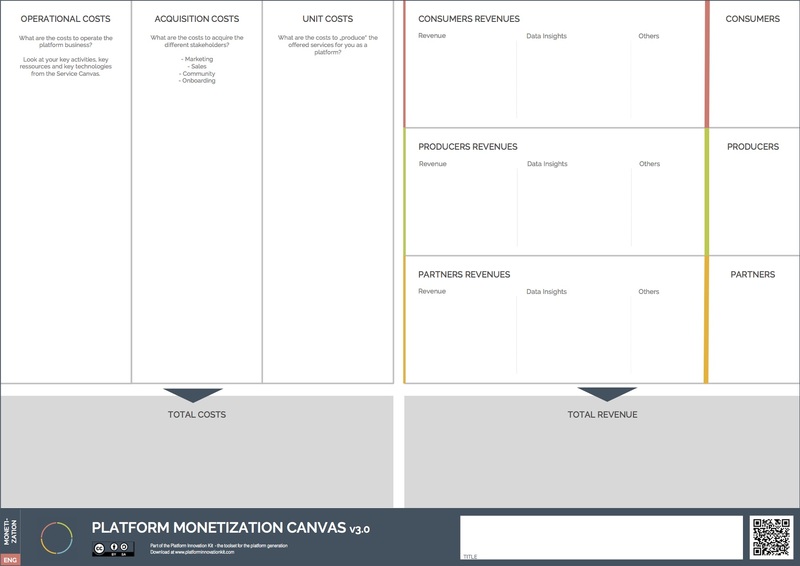 The PMC defines a solid business case for your platform business by looking in detail to your revenue streams and your cost structure. The PPC defines the needs of your stakeholders and opportunities or gaps in your offerings to focus on the major needs of your customers. The PIAC defines the design and IT architecture / infrastructure from front-end to backend. The PSC defines your position, your strategies and your influencers. Like go-to-market strategy, positioning and a business case. Use our free app to get interactive assistance and up-to-date examples. 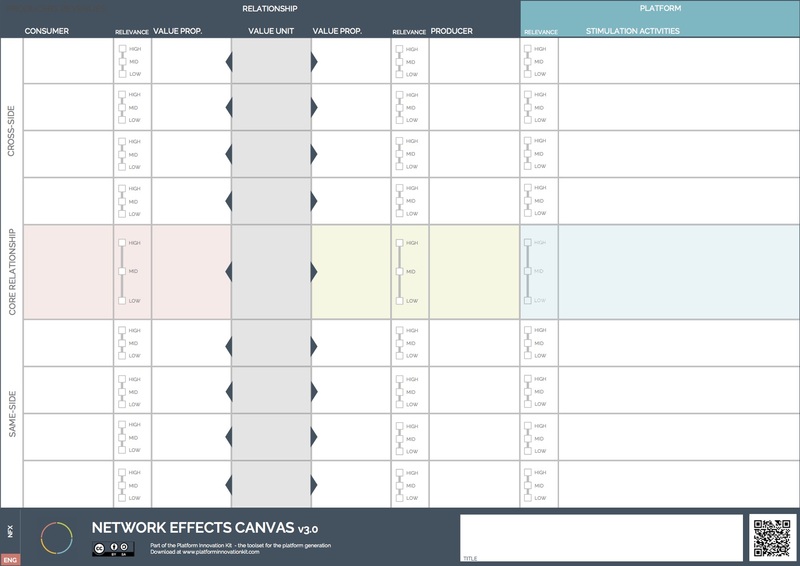 Download the User-Guide + the Canvases for free and start building the future today.Canvases are high-resolution and optimized for A0 printing. Stay up to date with our bi-weekly newsletter. Join our +10.000 subscriber family to get the latest updates on the methodology, latest platform business insights and interesting reads – fresh into your inbox.